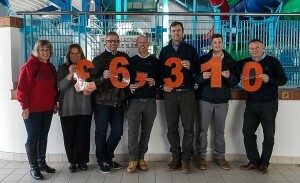 Guests and staff at Hendra Holiday Park in Cornwall have raised a £6,300 for the charity Help for Heroes throughout a year of fundraising in 2015. Help for Heroes was named as Hendra’s adopted charity for the year at the start of last season, and donations came via a raft of initiatives by the park and its staff. Hendra Holiday Park director Janine Hyatt said: “We would like to thank all those who contributed to Hendra’s fundraising effort, especially our holiday guests whose donations make a big difference. “Even in difficult times, many people are happy to put their hands in their pockets for a good cause, and we’re delighted to be able to provide these much-needed funds for Help for Heroes,” said Janine.